Welcome to the third edition of “India Innovation Forum (IIF)”; a platform to engage in a dialogue on innovation. IIF aims to bring together individuals who are at the forefront of innovation across industries and functions. Prominent stakeholders in this ecosystem such as Entrepreneurs, VC and PE investors, corporate leaders and academic luminaries who are pushing boundaries in the most impactful manner will be in dialogue. Innovation ecosystem in India is evolving constantly having seen dizzying heights and terrifying lows over the last few years. An important part of that evolution has been the focus on the consumer and the customer within India. 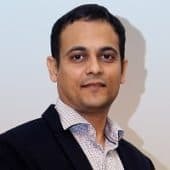 Increasingly, startups as well as small and big organizations are serving the local market and building for India and for domestic consumption and its supposed to explode, with never before access to cheap data and smartphone as is happening right now. This year, IIF aims to explore various aspects, trends, best practices, and stakeholder perspectives around this theme. It will also serve as a platform for more personal and small group interactions around opportunities, learnings and experiences focused on “Build for India”. 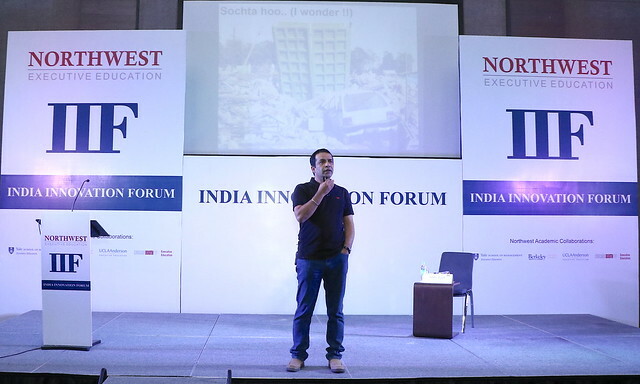 Anshu Gupta, popularly known as the Clothing Man is the Founder of an Indian based nonprofit – Goonj. 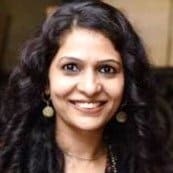 One of India’s leading social entrepreneurs Anshu brings to the table an instinctive empathy and connect with people, moving the focus from the conventional – giver’s pride to the unconventional – receiver’s dignity. Asia’s Noble, the prestigious Ramon Magsaysay award 2015, conferred to him credited him for his creative vision in transforming the culture of giving in India, his enterprising leadership in treating cloth as a sustainable development resource for the poor, and in reminding the world that true giving always respects and preserves human dignity. 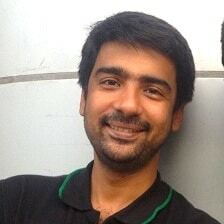 Anshu has done his Mass communications twice and his masters in Economics. 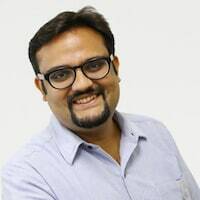 Starting as a freelance journalist, he left a corporate job in 1998 and founded GOONJ with a mission to make clothing a matter of concern and to bring it among the list of subjects for the development sector. His mission was to address the most basic but ignored need of clothing and the multifaceted role it plays in villages across India. 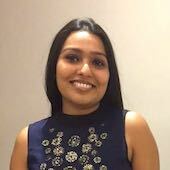 Meghana is passionate about children’s nutrition and health and is keen to make a dent on India’s appalling malnutrition statistics. Her incessant effort to feed Miss Nandita (her 3 year old) healthy food by making it taste great, led her to start this venture. 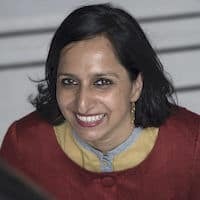 Prior to her activities at Slurrp Farm, she was an Associate Principal at McKinsey & Company in Delhi where she led the public health practice. 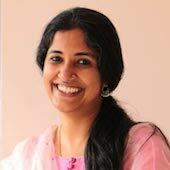 She holds an MBA from Harvard Business School, a BA in Computation as a Rhodes Scholar from Oxford University and a BE with Distinction in Computer Science Engineering from Bangalore University. Meghana swam competitively for India for many years, including at the Asian Games and she sincerely hopes that better nutrition for India’s children will result in more golden Olympic medals! Her passion is to get her son Roshen (and hopefully other little tots like him) to gobble up all the exciting food ideas that are brimming in her own kitchen. 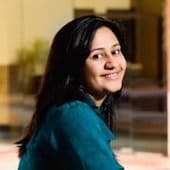 In her previous avatar, she brings over ten years of experience as a finance professional. 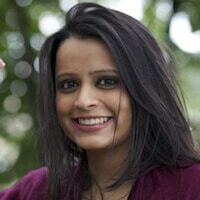 She worked in the Consumer, Healthcare and Retail Advisory team and the Leveraged Finance team at J.P. Morgan, and was an Investment Manager at Sir Richard Branson’s Group Holding entity at the Virgin Group in London. 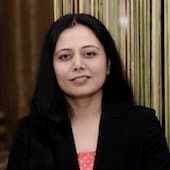 She holds a Master’s degree in Economics from Cambridge University and a BA in Economics from St. Stephen’s College, Delhi University. Shauravi’s most memorable years were the fourteen that she spent at her school Sardar Patel Vidyalaya which followed a no junk food philosophy way back in the good old 1980s! 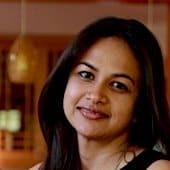 With over two decades of experience in the lifestyle business, Harmeet looks after the design and aesthetics for all the Impresario restaurants in Delhi such as Social and Smoke House Deli. She is also actively involved with the team to collaborate and conceptualize events and looks after strategic partnerships for the brands. With several successful alliances like Wills Fashion Week, Vogue, GQ, Cosmopolitan, etc she has expanded the horizon of the Impresario’s brands from the food industry to the fashion industry, thereon setting new trends. 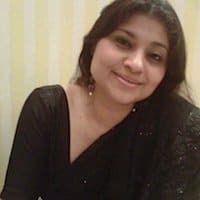 Having completed her MBA from Delhi University she has studied at New York’s Fashion Institute of Technology and has one of the most versatile portfolios in the industry today. She also owns a fashion brand, Bian and a successful garment export company which manufactures private labels for designers in the U.S and the U.K.
With over 10 years of experience, Shamsul Wahid knows his job inside out! He is currently the man behind kitchen counter, innovating and experimenting incessantly to keep the food and brand a step ahead of the game. 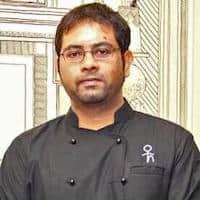 Post the completion of his hospitality course at IHM, Mumbai he has also worked with the Taj Palace Hotel, New Delhi and a British Cruise Liner as Demi Chef De Partie. Always willing to experiment with ingredients, Wahid is a pro when it comes to making roasts, sauces, fish dishes, soups and salads. 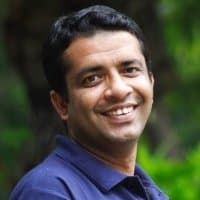 Manav Subodh is Director, Berkeley Executive Education, University of California Berkeley and is a Co-Founder of 1M1B (A Million for A Billion), an initiative to activate a million young people to create jobs to impact a billion people in the underserved regions of the world. A series of events, including his experiences during the Arab spring inspired Manav to leave his corporate job in 2015. Since then he has expanded 1M1B not just in India but also in the Caribbean’s, Ghana, Vietnam and USA. He was featured in Forbes as “The Man Who Will Help 1 Billion People”. 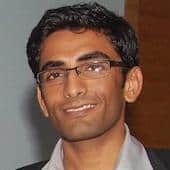 In 2016 Manav was selected as the Garwood Innovation Fellow, Haas School of Business, UC Berkeley, in which he established a Smart Village in Andhra Pradesh in partnership with the office of the Chief Minister of the State of Andhra Pradesh. A village accelerator prototyped under the smart village for local job creation is now being replicated to thousand of villages of India by 1M1B under the brand Startup Gurukool. 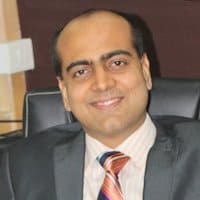 Prior to his entrepreneurial journey, Manav worked for 17 years in the corporate sector with organizations like Intel, EY, Hughes and QAI. 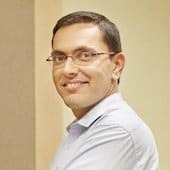 His most prestigious assignment was with Intel in which, out of the 10 years at Intel, Manav worked for over 4 years as a Global Director for entrepreneurship in over 30 countries and later led mentoring and incubation for the Intel CEO’s inspired, Make it Wearable, one of the largest corporate innovation and marketing initiative on wearable computing. Manav’s experiences along with other experts captured in the book HyperShift, co-authored and edited by Manav, released in January 2015, on how large corporation can innovate and keep pace with the speed of innovation by working with makers, innovators, garage inventors and entrepreneurs. 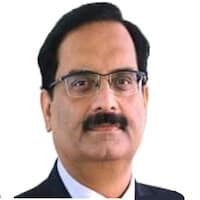 Ajay Kumar Dixit, 57, joined Vedanta Group as Chief executive officer, Power in May 2015 and in December 2016, he was appointed as CEO – Power, TSPL and Innovation, responsible for the TSPL business unit, Centre of Excellence for Power, Coal/Carbon renewables strategy and Group Innovation. In February 2017, he was appointed Chief Executive Officer, Alumina to drive the ramp up of Chhattisgarh Bauxite and enhance reserves, secure Odisha Bauxite and any additional bauxite sources and ramp up refinery at Lanjigarh. Prior to joining the Group, Ajay worked at Siemens as CEO – Energy Sector for South Asia. He has 35 years of experience with Siemens where he joined as a Project Engineer in 1980 and worked across varied roles before taking over as the CEO of Energy. He has won several “Innovation Awards” in Siemens. Ajay is an Electrical Engineer from Delhi College of Engineering. 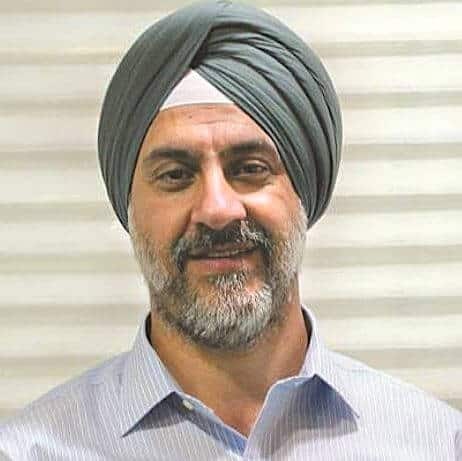 Mr. Kanwaljit Singh, also known as Kanwal, is Founder of Fireside Ventures. 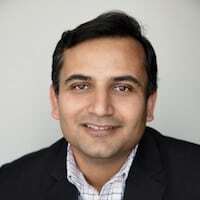 Previously, Mr. Singh was the Co-Founder and Senior Managing Director at Helion Venture Partners, LLC. 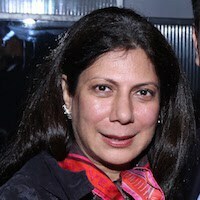 Prior to Helion, he served as a Co-Head of India Operations at The Carlyle Group LP. At Carlyle, he helped define the strategy for Carlyle India, invested in over half a dozen companies and worked closely with the portfolio companies to help them accelerate their business. 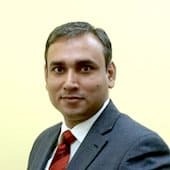 Mr. Singh focused on investment opportunities in the fast growing business process outsourcing sector in India and also on cross border, Indo-U.S. technology companies. 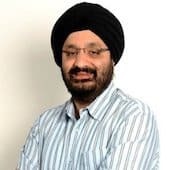 Prior to Carlyle, he worked for more than 13 years in the marketing and business development functions at Intel Corporation and Hindustan Unilever Ltd. Mr. Singh launched and managed Lipton Yellow Label Tea. 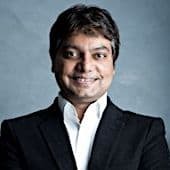 He serves as a Director of Fashionara , Mast Kalandar, Attano, Yepme, NGPay, Hurix Systems Private Limited; JiGrahak Mobility Solutions (P) Ltd.; HummingBird Suites Pvt. Ltd; R&R Salons Private Limited; and Brand Calculus Franchising (India) Pvt. Ltd and Spring Leaf Retail Pvt. 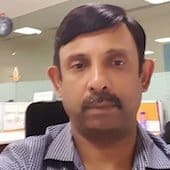 Ltd. he has been a Non Executive Director of QwikCilver Solutions Private Limited since 2016. 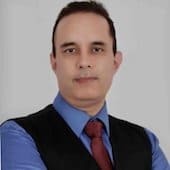 Mr. Singh holds a Master of Business Administration degree in Marketing and Finance from the Faculty of Management Studies, New Delhi; and a Bachelor’s degree in Electrical Engineering from Punjab University. 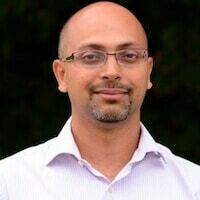 Praful is the CEO of Coseer, a company that automates complex workflows at enterprises using cognitive computing. 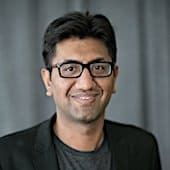 Praful has helped multiple Fortune 500 companies adopt AI or Cognitive Computing solutions and has an in-depth knowledge of how to make these technologies work in disparate situations. 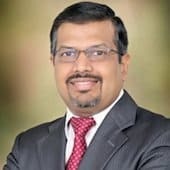 Apart from Coseer, Praful advises a number of companies’ management and/ or boards, and is frequent speaker at conferences and corporate events. 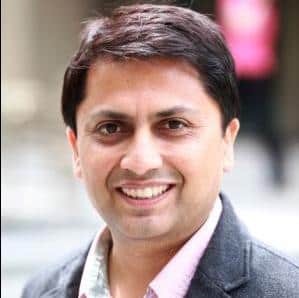 Prior to Coseer, Praful was an activist investor in a $15b fund and helped management teams drive shareholder value. 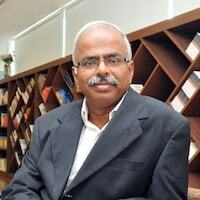 Earlier, Praful was a consultant with McKinsey and Company, and still is an adviser to many companies. 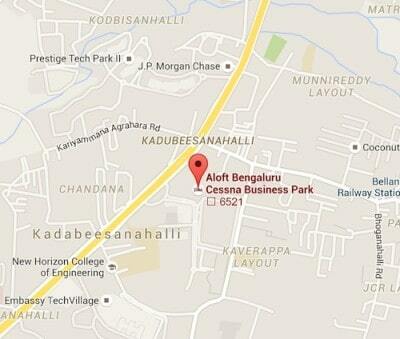 He has an MBA from Harvard Business School and B.Tech (EE) from Indian Institute of Technology, Bombay. 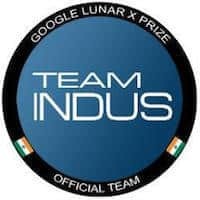 TeamIndus is the only Indian team competing for the Google Lunar XPRIZE. The $30M Google Lunar XPRIZE is a global competition to challenge and inspire engineers and entrepreneurs to develop low-cost methods of robotic space exploration. To win, a privately funded team must successfully place a robot on the Moon that explores at least 500 meters and transmits high-definition video and images back to Earth. TeamIndus is what happens when ordinary folk come together with an extraordinary dream to engineer path-breaking solutions that take on critical challenges for humanity. TeamIndus believes that tomorrow’s solutions will come when we break away from the dogmas of the past, collaborate by questioning what is and merge the old with the new in inspiring ways. A visionary and an able business administrator, Dr. Velumani proves amply clearly to industry that , ?”Focus gives Success?”. 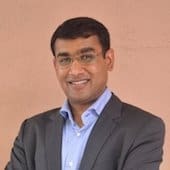 Born in a small village near Coimbatore, South India, to a landless farmer, today he owns and operates an Industry leader, Thyrocare, a brand worth over Rs. 3000 crores. He began as a mathematician and became a Pathologist, after his PhD in Microbiology from BARC/ Mumbai University in Thyroid Biochemistry. As a Research scientist and Teacher he worked for 14 years in BARC and then became an entrepreneur. He also holds a position of MD of Nuclear Healthcare Limited, which is a Radiology vertical. His focus areas are Thyroid Biochemistry, Bioanalytical Chemistry, Nuclear Chemistry and Nuclear Medicine. Thank you for making IIF 2017 a grand success. We look forward to seeing you in 2018.